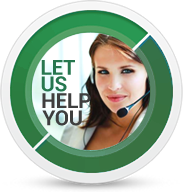 We are an IP Telephony Integrator and Technology Consultants, leader in South Florida since 2006. We have the experience and the knowledge managing communication projects and installations specializing in providing vertical solutions per the different industries needs and yet …we will always have the personal “ touch” with our customers. We offer the most advanced technology at the best price , we have created our own style so we can provide our customers with the combination of having system customizations tailored to their needs, and provide professional recommendations making sure each customer maximizes their operation , have the proper training, clean implementation while optimizing their communication cost. Carriers: We belong to one of the largest Master Carrier Distributors in the US . That means we have the relationship with Corporate levels within the carriers , Therefore we could offer excellent prices from the main carriers in your area, make our recommendations , and make sure your company gets the right product, the right carrier at the right price. Technology: We “ mastered” the brands we represent, they were carefully selected among other brands in the market and we provide the support. They have worldwide Award – Winning Recognitions and Certifications that allow us providing you with state of the art reliable technology. Professional Services: we have a combined engineering and consulting experience of over 60 years providing IP solutions . We care about our customers period. We look to have a long business relationship and become your technology partner ally.